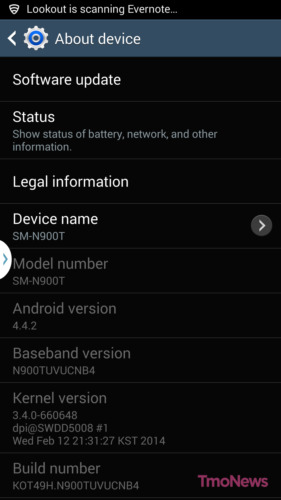 Samsung and T-Mobile USA have started seeding the much awaited Android 4.4 Kitkat update to Galaxy Note 3 users in the US. This update comes a month after users of the international version of the Galaxy Note 3 in some regions had gotten their update. The update which weighs in over 495mb have started seeding to some lucky owners (i haven't gotten mine yet for the international version) via OTA, users who haven't gotten an update yet can check for an update manually by going to Settings > About phone > Software Update > Update to see if they have an update available.